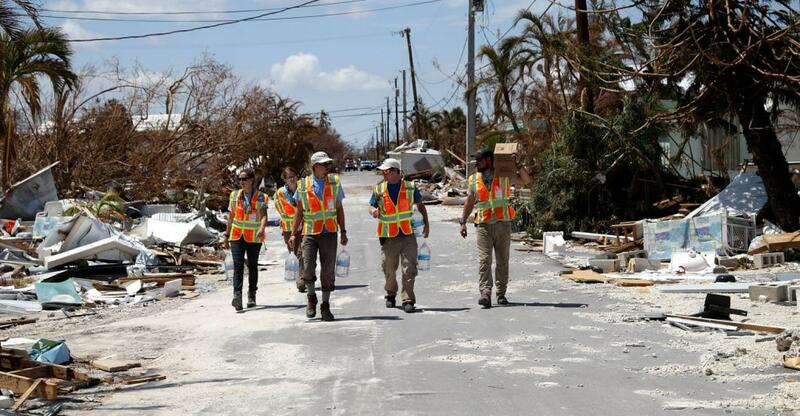 After natural disasters strike, the hundreds of workers hired to help restore damaged areas often do not receive the overtime compensation they are owed. Inspectors, restoration and construction workers, security guards, demolition workers, and other disaster relief workers are integral to the economic recovery of a devastated area, but these workers are often left working long hours in challenging conditions without receiving overtime pay. By treating these workers as independent contractors or paying them a salary, employers fail to pay time and a half for hours worked over 40 in a workweek, in violation of the overtime provisions of the Fair Labor Standards Act (FLSA) and local laws. Disaster recovery workers are often misclassified as independent contractors in an effort by employers to avoid paying them overtime wages. It is common for employers to hire and label workers as independent contractors, but this does not automatically mean that the workers are not“employees” eligible for overtime pay. If the company maintains control of the manner and means of the worker’s job, that worker should typically be classified as an employee and paid overtime. Some employers also unlawfully pay disaster relief workers a fixed day rate. Day rates are generally illegal because the flat daily amount does not include the proper pay for any overtime hours worked. For disaster relief workers who work over forty hours per week, the day rate pay scheme deprives them of the overtime pay they are rightfully owed under the law . Employers also dodge overtime pay obligations to disaster recovery workers by paying them the same hourly rate of pay for all hours worked. Employers should be paying a regular hourly rate up to 40 hours worked in a week and paying 1.5 times that regular rate for all hours worked after 40.Even a relatively high regular rate that is far above the minimum wage does not excuse employers from paying workers 1.5 times the regular rate for any overtime hours worked. Back wages owed to disaster relief workers who are cheated out of overtime pay can result in substantial monetary recovery to these victims of wage theft. After Hurricane Harvey struck and disaster recovery efforts ensued, the United States Department of Labor investigated the pay practices of companies who hired immigrant workers to rebuild the impacted areas. The Department of Labor discovered that more than 1,400 workers were paid below the minimum wage and were not being paid overtime wages. Fixed salaries were also paid to other workers, which deprived them of overtime pay. As a result, the Department of Labor required the companies to pay a combined estimated total of $2.5 million in back wages to the disaster relief workers. Pechman Law Group has handled over two hundred wage theft cases across the United States and in Puerto Rico. If you have worked in disaster recovery and have not received overtime pay, please contact our attorneys at 212-583-9500.